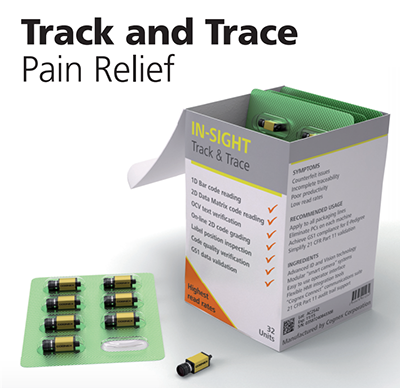 Developing and implementing traceability and serialization solutions can be a painful process. 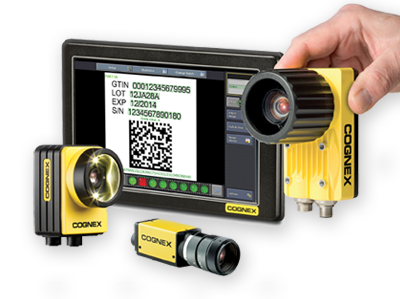 To help provide relief, we’d like to introduce Cognex® In-Sight Track & Trace, a new range of off-the-shelf, modular visions systems that are easy to validate, configure and maintain. The Track & Trace systems eliminates the need for a PC on each machine and integrate seamlessly with virtually and equipment, production line, HMI or ERP. Pharmaceutical manufactures are able to use the same systems through their operation, irrespective of the serializing vendor chose.